The Hornsby Ku-ring-gai Women’s Shelter was officially launched in December 2014 and opened its doors to clients in February 2015. It has since been at capacity supporting 10 women at any given time. The campaign to open this shelter could not have been successful without the support of Women’s Community Shelters, with which we maintain close ties, and many other community organisations and donors. 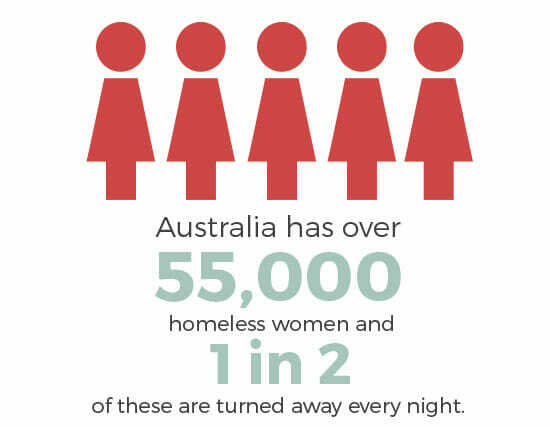 The Shelter aims to provide temporary supported accommodation for women in times of crisis such as homelessness and /or domestic violence. We provide a safe, non-threatening environment for women that will assist them through their emotional and physical crisis.